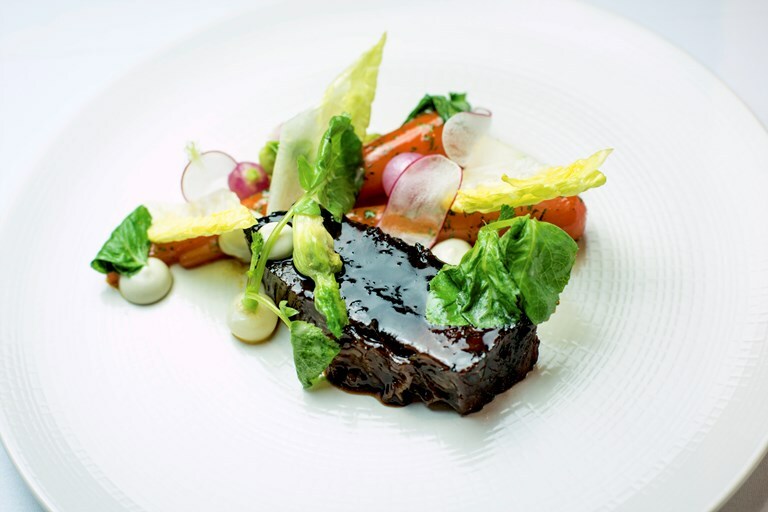 Alyn Williams matches perfectly tender beef brisket with vibrant, buttery vegetables and a salty oyster emulsion in this stunning dish. This recipe requires a little forward planning as the brisket is first brined for a week and then slowly braised, but the resulting rich, intense flavour is more than worth the effort. Alexanders can be foraged locally in Britain, but if you can't source these you could use the leaves from the turnips instead. It is always a pleasing moment when a talented apprentice steps out and succeeds on their own terms. After working as Head Chef at Marcus Wareing at The Berkeley for five years, Alyn Williams has done exactly that; taking over the Westbury in the autumn of 2011 and quickly winning a Michelin star.